Software Engineering at Bowery involves developing software systems that power a modern farm. This includes building out work management, data collection, farm control, visualization, and farm automation systems. You’ll be part of idea generation, design, prototyping, planning, and the execution of new software components of all aspects of our Farms. This role will help lead a team of data scientists and help shape the how machine learning and computer vision are used by modern farmers. You will be working to constantly improve our image capture systems using hardware (cameras, lenses, lighting, etc) and software (image processing, machine learning techniques, etc). You’ll create innovative automation solutions and advance the state of indoor farming alongside mechanical engineers, agricultural scientists, and the farm operations team. You’ll shape the foundation of our data science team – researching and making key decisions about what we build, how we build it, and which tools are best for solving our problems. You’ll develop systems to collect, process, and visualize data related to plant health and growing environment characteristics. Perform experiments in order to build out new and improve current models that optimize plant growth, optimize farm work, and improve quality of product. You’ll build systems that optimize crop cycles, taste profiles, and workflow schedules to improve yields, improve the quality of our product, and make the best use of time in the farm. You must be able to communicate your research and translate that research into effective production scale solutions. You have a deep understanding of and have applied various machine learning and computer vision techniques for solving real-world problems. You have experience with CNN frameworks such as Torch or TensorFlow. You have experience with Image Processing + CV frameworks such as OpenCV. You are excited about how advancements in machine learning and IoT can work in harmony to improve the state of the planet. You are confident taking ownership of projects from start to finish and enjoy the process of turning nebulous ideas into reality. 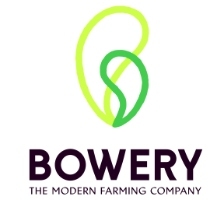 Bowery is growing food for a better future by revolutionizing agriculture. Our modern farming company combines the benefits of the best local farms with advances made possible by technology to grow post-organic produce you can feel good about eating. BoweryOS, our proprietary software system, uses vision systems, automation technology, and machine learning to monitor plants and all the variables that drive their growth 24/7. Because we control the entire process from seed to store, Bowery farms use zero pesticides, 95% less water, and are 100+ times more productive on the same footprint of land than traditional agriculture. Bowery produce is currently available at select Whole Foods and Foragers stores in the Tristate area, and featured on the menus of Tom Colicchio’s New York restaurants Craft and Fowler & Wells. Based in New York City, the company has raised $27.5M from leading investors including General Catalyst, GGV Capital, GV (formerly Google Ventures) and First Round Capital.